Home » Technology » What comes next after Windows 8? What comes next after Windows 8? As we all know, Microsoft Windows has marked its steps into the future of the Advent PC with the invention of Windows 8 which is a re-imagined form of traditional windows. This Windows 8 is a new form of windows operating system that can either be used for tablets to entertain or a fully featured Desktop operating system to get things done easily. It is designed to work on wide variety of devices to make sharing and synchronizing easier between peoples. Moreover, for the following few reasons it is worth upgrading your older Windows to the latest Windows 8 Operating system. Windows 8 is found to deliver faster performance than its earlier versions of Operating Systems. It has even passed several benchmark performance tests quicker than Windows 7 or Mountain Lion. Windows 8 OS provides the users with whole new set of web based apps that are easily accessible since they are readily available in the start screen tiles. Analogous to the Apple ITunes App store, Windows store allows installing and updating the apps easily and securely. The feature of SkyDrive allows the users to save and access files to an online space, backs-up your PC settings and act just like a local drive of your computer.It comes in-built with Windows 8 and it helps a lot when any installed app wants to use the SkyDrive feature directly. Windows 8 is considered as most secure version of windows since it has better booting options and starts with secure boot. Most of the Windows 8 users have said that the touch screen input experience is better than Apple iPad. Swiping with your thumbs in the tablet is really a great experience than the conventional operating system. Above all, Windows 8 is designed with the new User Interface which has Windows Charms to the right side of the window.These charms allow you a quick access to the Start button, Share, Search and so on. And the search is not only available through Charms but also through the direct typing in the start screen. This version is mainly designed to compete with Apple iPad’s iOS and other popular tablets in the market. This is designed especially for the tablets and laptops and today’s such devices have pre-installed Windows RT operating system. Such operating system cannot be moved from one device to another and can’t be bought separately. Like other versions of Windows 8, this also includes a desktop, but this desktop can run only bundled apps that are pre-installed and can’t run the traditional apps as that of other conventional operating systems. You can find this type of operating system mostly on touch-screen tablets and touch-screen laptops. This is a more powerful version than the Windows RT since it can work as a full-fledged Desktop operating system. It can run the pre-installed apps as well as other traditional softwares. The battery life is poorer than the Windows RT since it has the ability to run all kinds of possible applications. This type of version includes everything found in the Windows 8, in addition to many additional features like Remote Desktop, encryption, Virtual hard drives, and other features that are rarely used by the home users. This version is sold by license to large businesses. This offers extra networking features to help technicians to work in long run in large networks. Also, Microsoft’s licensing programs are provided to the businesses with bulk buy discounts. This is the latest version of Windows 8 series. This version offers you more personalization options that help to customize your settings. It also allows running two apps side by side rather than running one single application. On high resolution devices you can even run two or more apps side by side. Despite the rumors of the aggressive schedule and development, there is no official word from Microsoft of what would be the next version of Windows. Is that Windows 8.2 or Windows 9? But according to the source of information got so far, we can readily expect Windows 9 to be the next version of Operating system from the Tech Giant Microsoft. The ultimate aim of this version is making the Windows Smaller, cheaper with more apps. Since most of the users of windows 8 tablets felt that is too costly to afford, Microsoft has planned to deliver this version at the price-points of the customers. Also it is said that, the feature of Aero, that Windows 8 users missed is a comeback in Windows 9 version. It is also said that Windows 9 will not bring back the Start button but there will be major enhancements in the start screen options with more configuration options. 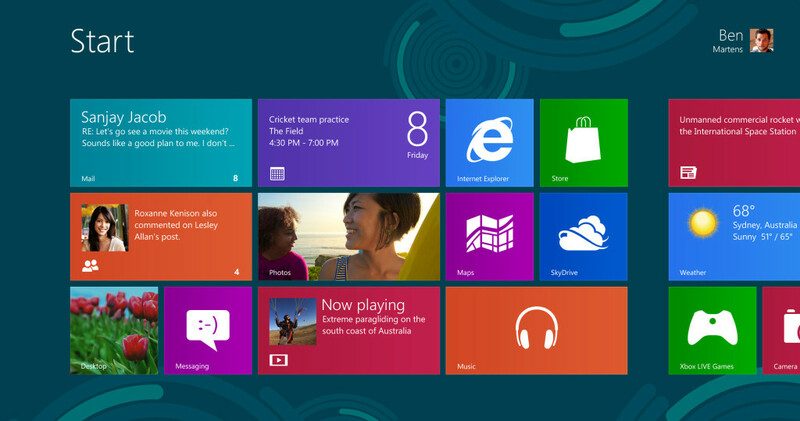 According to a recent report, Microsoft has planned to launch the Beta version of Windows 9 on January, 2014. If everything goes according to the plan, the sources say that it may release Windows 9 RTM in the October 2014 and public release would happen in November. Also let’s hope the improvements in the User interface, apps, and power management will be better in the Windows 9.